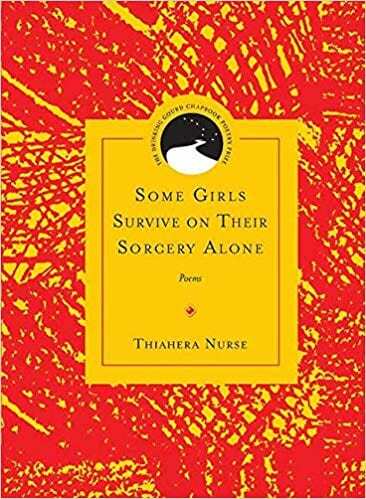 The Poetry and Poetics Colloquium, in conjunction with Northwestern University Press, is delighted to announce that Thiahera Nurse & Andrew E. Colarusso are the winners of the seventh annual Drinking Gourd Chapbook Poetry Prize. 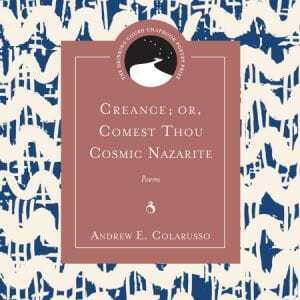 Their manuscripts, Some Girls Survive on Their Sorcery Alone and Creance; Or, Comest Thou Cosmic Nazarite will be published by Northwestern University Press in Fall 2018 with a planned launch party at the Poetry Foundation in Chicago, IL in January 2019. The Drinking Gourd Prize is a first book award for poets of color. Showcasing the work of emerging poets of color, volumes in the Drinking Gourd series are selected by a panel of distinguished minority poets and scholars and feature a short introduction by a senior minority writer. This is an annual award combining the efforts of Northwestern’s Poetry and Poetics Colloquium and Northwestern University Press in celebrating and publishing works of lasting cultural value and literary excellence. Andrew E. Colarusso was born and raised in Brooklyn, NY. He is currently an assistant professor of literary arts at Brown University. He is the founder and editor-in-chief of The Broome Street Review, an independently published literary journal dedicated to art and culture at the vanguard. His debut novel, The Sovereign, is available from Dalkey Archive Press and his writing has been published or is forthcoming in Callaloo, Callaloo Art, FENCE, and 3:AM Magazine, among others. 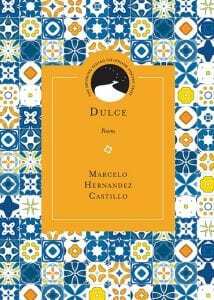 Surreal and deeply imagistic, the poems in Dulce map a parallel between the landscape of the border and the landscape of sexuality. Castillo invites the reader to confront and challenge the distinctions of borders and categories, and in doing so, he obscures and negates such divisions: between citizen/non citizen, queer/straight, man/woman. His poems — at once confession and elegy — open the possibility of an and in a world of either/or. The volume as a whole enacts a prescient anxiety about what is to come: “I want to say all of this is true / but we both know it isn’t…we already know what’s at the other end of this.” Dulce is truly a lyrical force rife with the rich language of longing and regret that disturbs even the most serene quiet. Marcelo Hernandez Castillo was born in Zacatecas, Mexico, and crossed the border through Tijuana at the age of five with his family. He is a Canto Mundo fellow and the first undocumented student to graduate from the University of Michigan’s MFA program. He teaches at Sacramento State University as well as at The Atlantic Center for the Arts in Florida. He was a finalist for the New England Review Emerging Writer Award and his manuscript, Origin of Drowning, was a finalist for the Alice James Book Prize and the National Poetry Series. His work has been adapted into opera through collaboration with the composer Reinaldo Moya. His poems and essays can be found in Indiana Review, New England Review, Southern Humanities Review, Gulf Coast, PBS News Hour, Fusion TV, and Buzzfeed, among others. He cofounded the Undocupoets campaign which successfully eliminated citizenship requirements from all major first poetry book prizes in the country and was recognized with the Barnes and Noble “Writers for Writers” award from Poets and Writers Magazine. 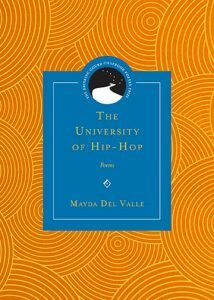 The University of Hip-Hop is a love letter to the city of Chicago, more specifically a particular moment in Chicago—of growth and development, coming of age, of learning how to construct a new self from old-world customs and new-school traditions. It is a meditation on movement and migration that asks what it means to leave home, how to take home with you, and how to build a new home elsewhere. 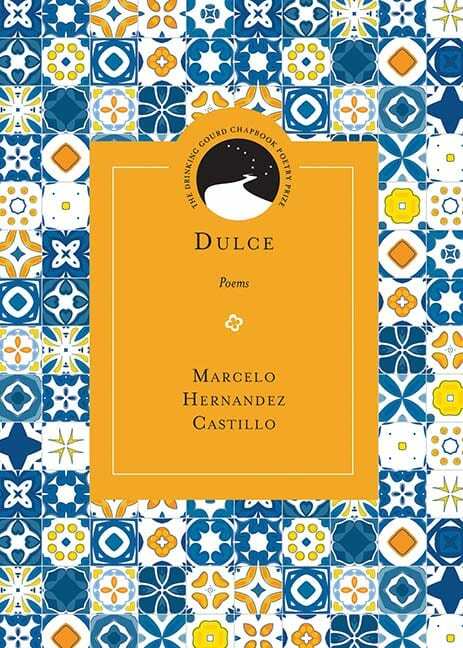 These poems invoke nostalgia tempered with the knowledge that one cannot return to the past. They employ tonal and structural variations that account for said nostalgia without risking naïveté, taking all the influence of that time (hope, youth, love, music, art, and engagement) as a formal device, yet one filtered through the condensation of a current, more mature and nuanced understanding. The worldview learned then is employed in the now and frames the approach to the work, moving through formal registers that include spoken word, American lyric and narrative traditions, experimental thrusts, and documentary honed with the edge of hip-hop. Mayda Del Valle is a poet and performer. A proud native of Chicago’s South Side, she appeared on Russell Simmons’s Def Poetry Jam on HBO and was a contributing writer and original cast member of the Tony Award–winning Def Poetry Jam on Broadway. She is currently program director of the poetry-based, nonprofit youth organization Street Poets Inc., and a dancer and vocalist with the Los Angeles–based Afro-Puerto Rican bomba group Cuny. 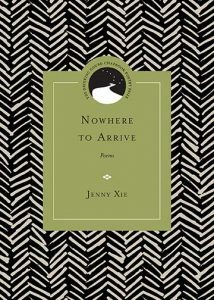 Nowhere to Arrive takes as its subjects the whiplash of travel, the shuttling between disparate places and climes, and an unremitting sense of dislocation. These poems court the tension between the familiar and the foreign, between the self as distinct and the self as illusory. They look plainly at the startling strangeness of varied landscapes and mindscapes, and interrogate a state of unrootedness—one thrown into relief by the speaker’s years abroad in Southeast Asia. At the chapbook’s center are two long poems, titled “Phnom Penh Diptych: Wet Season” and “Phnom Penh Diptych: Dry Season,” that examine the escapist narratives that draw tourists and expatriates to Cambodia, and the speaker’s own privileged positioning. On a formal level, the poems in Nowhere to Arrive make room for the unsaid and that which cannot be articulated. Here, we have a vocabulary of silence alongside stark imagistic juxtapositions, poems that celebrate compression and the force of paratactic constructions. Attentiveness and concentration emerge as virtues, as the speaker surveys the vast territory of the present with a wakeful gaze. Jenny Xie teaches writing at NYU. Her work appears in Tin House, The Los Angeles Review of Books, The Literary Review, Oxford Poetry, Gulf Coast, and elsewhere. She resides in Brooklyn. 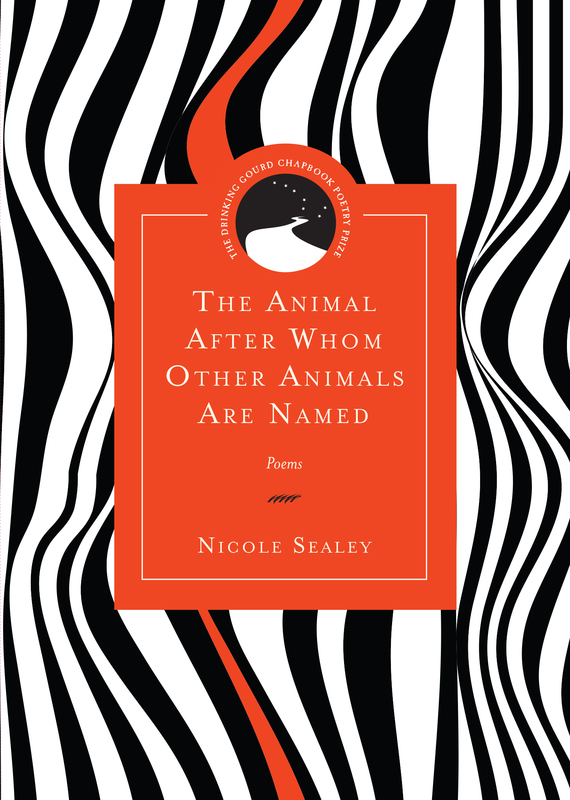 Nicole Sealey was born in St. Thomas, U.S.V.I. and raised in Apopka, Florida. She is a Cave Canem graduate fellow as well as the recipient of a 2014 Elizabeth George Foundation Grant. Her other honors include the 2014 Stanley Kunitz Memorial Prize from The American Poetry Review, a 2013 Daniel Varoujan Award and the 2012 Poetry International Prize. Her work has appeared in Best New Poets 2011, Harvard Review, Ploughshares, Third Coast, and elsewhere. Nicole holds an MLA in Africana Studies from the University of South Florida and an MFA in creative writing from New York University. She is the Programs Director at Cave Canem Foundation. 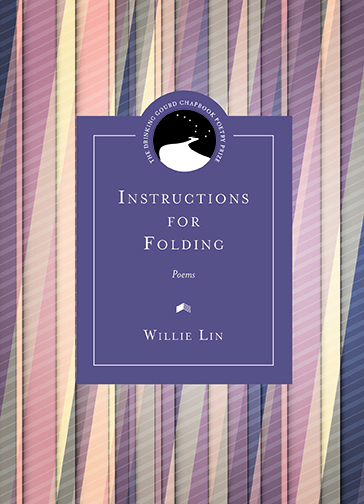 In one of the poems in Instructions for Folding, Willie Lin writes, “it seemed you were away but not beyond language.” And accordingly, the voice in these poems is sometimes fervid, sometimes wry, moved to speech by the specific desire to speak to someone. The poems often progress associatively, following a kind of lyric logic of involution, disruption, and juxtaposition. They rehearse the work of learning the heft and shape of memories. They revel in failures and take pleasure in mourning. They bristle with narrative suggestiveness, weaving an austere music against a scrim of love, loneliness, secrets, and elation. Instructions for Folding is unflinching in accounting for the daily cruelties of our lives, the melancholy of it. The poems ask us to succumb to the grace of the fold, the redemption of paper, the mapping and charting of ink and joy. Willie Lin lives and works in Chicago. Her poems have appeared in 111O, Blackbird, the Cincinnati Review, Washington Square Review, and other journals. The winner of the Drinking Gourd Chapbook Poetry Prize, Rodney Gomez’s collection Mouth Filled with Night employs familiar emblems of Mexican American identity to repeatedly subvert expectations while intensifying the dilemmas of affiliation. The poems run beyond more conventional ideas of agency, identity, and experience, creating a newly invigorated imaginative space. 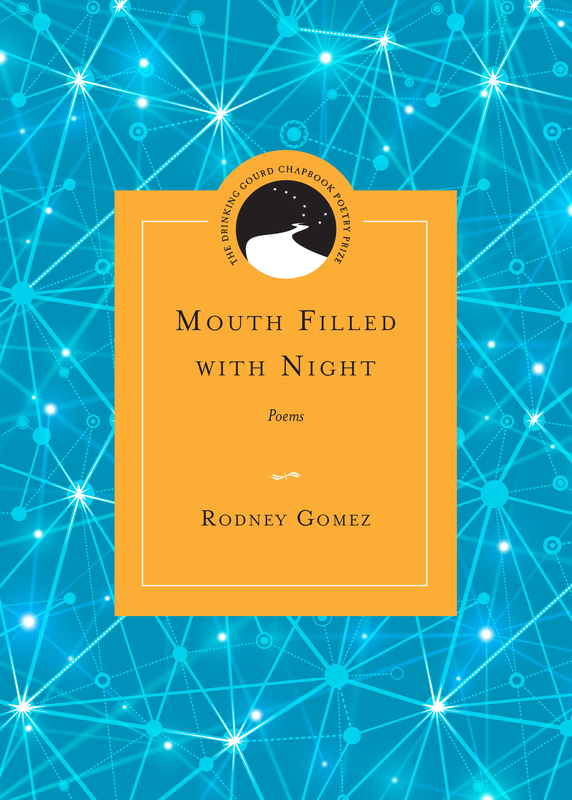 As a collection, Mouth Filled with Night gains particular momentum–a pitched anxiety that slowly grows throughout the volume–to create a poetic experience unique to the chapbook form. Rodney Gomez lives in Brownsville, Texas and works as an urban planner. He holds a BA from Yale and an MFA in Creative Writing from the University of Texas – Pan American. His poems have appeared in various literary journals and anthologies, including Denver Quarterly, Devil’s Lake, Borderlands: Texas Poetry Review, Fourteen Hills, Barrow Street, The Literary Review, Nimrod, and Salt Hill. He has received the Editors’ Prize from RHINO and residencies from the Atlantic Center for the Arts and the Santa Fe Art Institute. He sits on the board of Migrant Health Promotion, a nonprofit organization dedicated to improving the health and well-being of migrants, immigrants, and related populations. Taking its cue from Toni Morrison’s declaration that “language alone protects us from the scariness of things with no names,” Kristiana Rae Colón’s promised instruments stitches its own definitions for what is granted, what is surrendered, what is pilfered, and what is reclaimed. 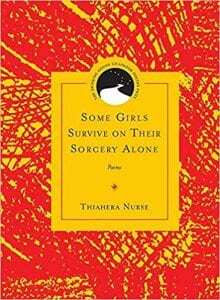 Her poems plumb the problem of women’s mental health, their sexuality and gender identity, and their ability to make choices about sexual activity. With piercing musicality and disarming vulnerability, promised instruments invites its readers to interrogate their own complicity in these issues and to share in the healing process. Northwestern University Press is honored to publish Ed Roberson’s Closest Pronunciation. Here is a teacher of poets studying his own assignments, questioning and seeking the generative capacity in looking at and seeing things that ends in the realization of a poem. In a line from the brief poem “Night Writing,” from which the chapbook draws its title, he writes, “The word closest in pronunciation / To an ambulance’s siren is ‘wrong.’ ” The collection as a whole gives voice, often quiet but always profound, to many things overlooked and neglected in culture, nature, and everyday life. Ed Roberson is the author of nine books of poetry, most recently To See the Earth Before the End of the World (2010), which was a finalist for the 2010 Los Angeles Times Book Prize and one of two runners-up for the 2011 Kingsley and Kate Tufts Poetry Award. His other honors include the 2008 Shelley Memorial Award from the Poetry Society of America and the 2011 Stephen Henderson Critics Award for Achievement in Literature. He is currently the Distinguished Artist in Residence at Northwestern University, where he teaches in the Creative Writing Program.